Danny Mavromatis from Mavromatic/Myro Control demonstrates Myro:Air by Myro Control uPnP Streaming capabilities using a Samsung Tab/Android device. The audio is processed by the onboard Wolfson flagship WM8741 DAC. Two-way metadata and transport control is also available from the RS-232 port on the Myro:Air. Visit myroair.com for more information and to pre-order. 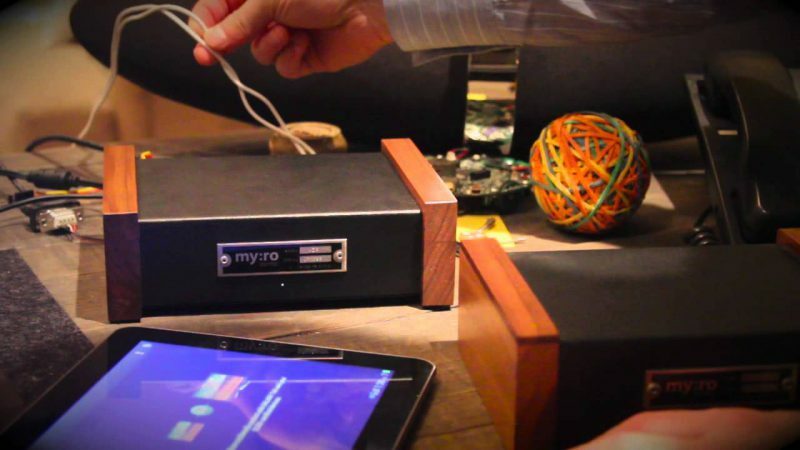 Myro:Air AirPlay Streamer Now Available For Pre-Order! I’m proud to announce that after two and a half years and thousands of man hours Myro:Air has passed Apple Certification for AirPlay and Made for iPod, iPhone and iPad. Myro:Air is designed, engineered and made in the U.S.A with domestic and foreign parts. The boards are assembled in Washington State — one of the main goals in creating Myro:Air was to keep as much of the product made in the U.S.A. as possible. From a technical perspective, Myro:Air is the first AirPlay streamer of it’s kind (most AirPlay devices are wireless speaker systems or receivers). Features like RS-232 for home automation/control systems like Crestron and AMX brings transport control (play, pause, next track, previous track) and metadata integration to custom installers. As well as smartsource support for Russound RNET based controllers. For the audio output side, Myro:Air provides analog output via the venerable Wolfson WM8741 DAC. It can also output digital audio in parallel via a Wolfson WM8804. I’m especially excited to finally be able to share Myro:Air with the rest of the world! 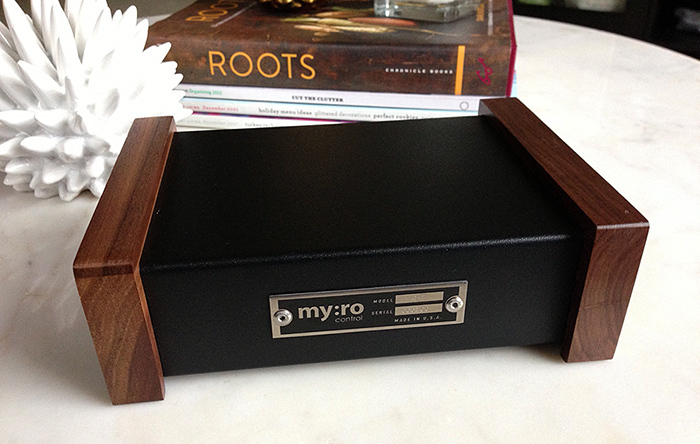 Click here to learn more about Myro:Air and to place your pre-order. Here’s the latest update for those that have been following the progression of Myro:Air — an AirPlay Streamer featuring Wolfson’s WM871 DAC and offers home automation control options. Click here for the latest update on the project! Hey folks! Thought I’d post a quick video showing the progress of Myro:Air, the world’s first AirPlay device featuring the highly-respected Wolfson WM8741 DAC and 2-way control via Russound RNET and RS-232 (Crestron, Control4, AMX, etc). Enjoy! If you have been wondering why the lack of posts here at Mavromatic, it’s because I have been heads down working on a new product for Myro Control. It’s now to the point that I can give you all a sneak peak of Myro:Air! This will be the first certified Apple AirPlay hardware device that features audiophile sound quality using the highly respected WM8741 DAC by Wolfson Microelectronics. Myro:Air will also be a home integrators dream come true — yup — it will feature RS232 and “Myro:Link” which will provide full metadata and transport control (Play/Pause/Next/Previous) of the AirPlay stream. This means Crestron, Control4, Russound and any other system that can interface via RS232 or Russound RNET will be able to control and receive metadata from the AirPlay stream. Myro:Air will also provide a USB port that will allow iOS device charging and control/playback as well. 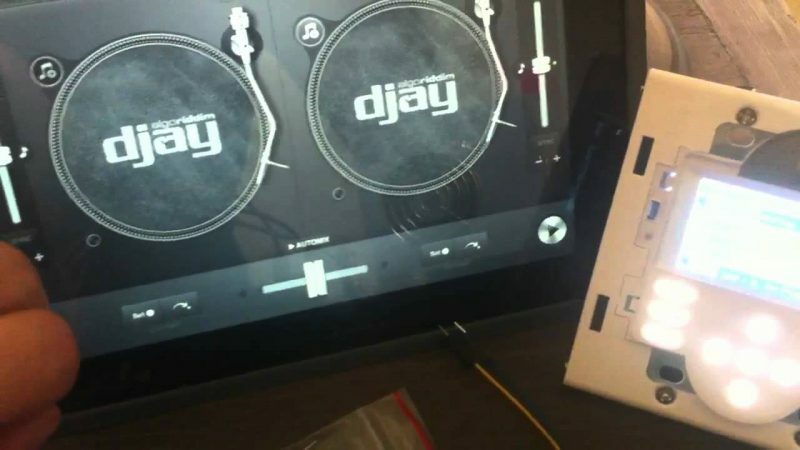 So you can either plug in your iPad/iPhone/iPod touch or any iPod and it will not only charge the device but will also stream digital audio processed through the quality DAC and provide metadata and transport control via the connected control system. I’m very proud and excited about this new product and can’t wait to get it to market. Email preorderAIR@myrocontrol.com if you’d like to get on the early pre-order list. The first run will be VERY limited so get on the waiting list now! 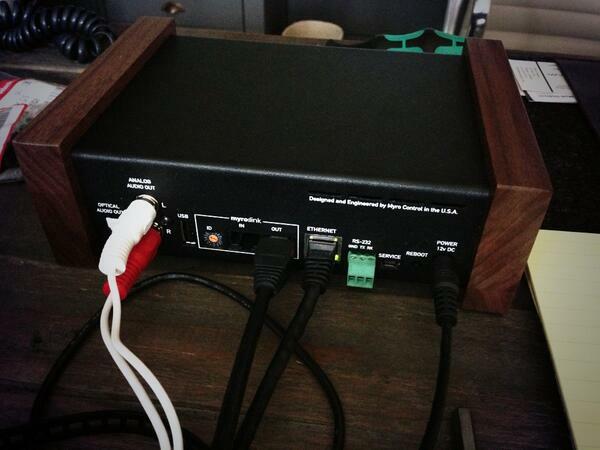 UPDATE: Now with Octava HDMI Switcher Support! 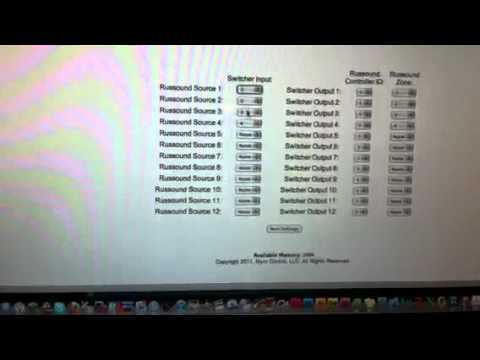 If you have been waiting for Russound to release a RNET based HDMI switcher to replace the VM1 series look no further! I’ve created a firmware to control Wyrestorm HDMI Matrix Switchers (4×2, 4×4 and 8×8) via Myro:Bridge. The onboard webpage allows you to configure/map the input and outputs of the matrix switcher to the sources and zones of your Russound controller. It’s an elegant system which is future proof and expandable. 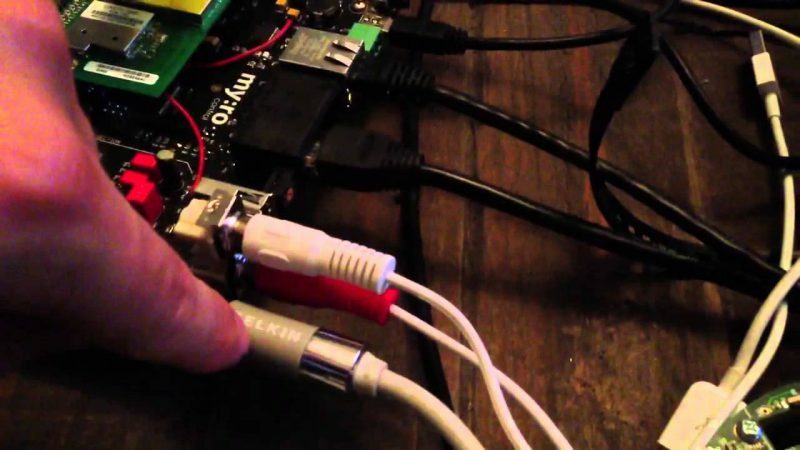 The Myro:Bridge plugs into the RNET ports and a RS232 cable is connected to the Wyrestorm switcher — it’s that easy! Watch the video for a quick demo on how it works.